Spacious designs you'll have everything you need to relax in comfort for one or two on your trip heading camping, hiking, at the Beach, lake or fishing and hunting overnight. It is a good tool for outdoor,backyards and garden. 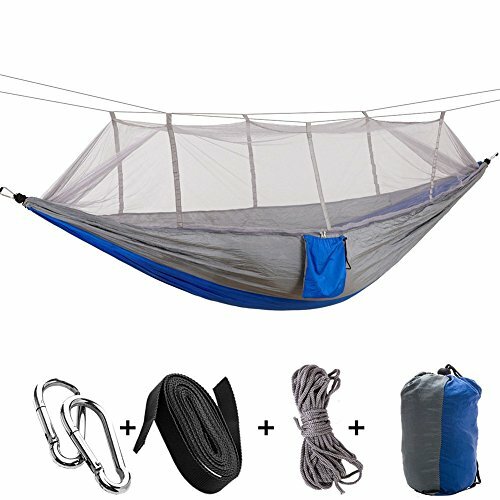 Mosquito-proof, sweet designed with mosquito net and smooth reversible zippers,Needle-like meshes and easily-close zippers, effectively prevent from mosquitoes and insects,making you comfortable to sleep in the hammock,Our design allows the hammock to be simply turned over for use with or without mosquito net. If you have any questions about this product by A-MORE, contact us by completing and submitting the form below. If you are looking for a specif part number, please include it with your message.